PRAYER is the raising of the mind and heart to God. We should PRAY the Rosary rather than say it. Counting prayers on beads was in vague before St. Dominic’s time. When Mary gave the Rosary to him, the new thing added was meditation on the mysteries. This method of teaching the mysteries of religion produces in souls the life of Christ. Contemplation of the Christian ideal is to be followed by action, or Christian living. Jesus and Mary want you to join them each day to SHARE THEIR JOYS, SORROWS and GLORIES. First of all it is necessary to UNDERSTAND the mysteries and to have a clear picture of them in mind. Study the pictures in this book until you know them from memory, and if you wish, keep them open before you while saying the beads. Here is a suggestion. Put yourself in the place of Jesus or Mary and live the mysteries with them. Be either an actor or a sympathetic spectator. For example, in the scene of the Annunciation imagine that you are present and listening to Mary and the Angel talking together. Or imagine that you are the Angel Gabriel sent by God to announce to the Blessed Virgin that She is to be the Mother of His Son. Then silently receive Her message and bear it back to God. 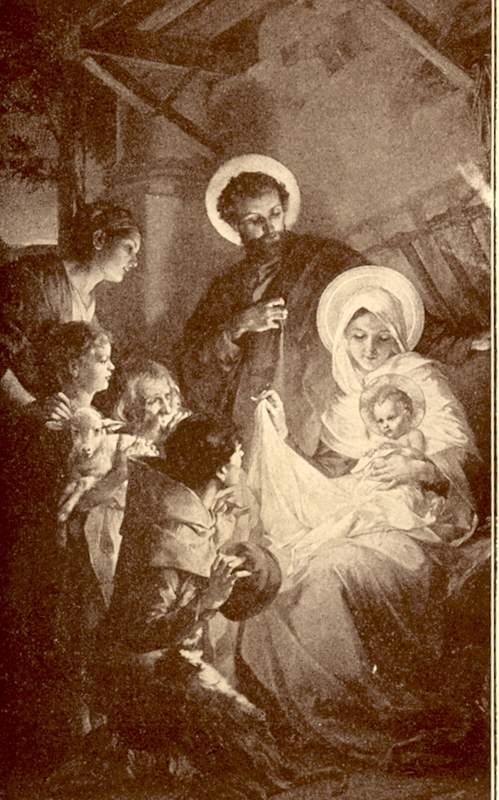 Or again, at the third joyful mystery imagine that you are one of the shepherds adoring the newborn Babe in the stable of Bethlehem. At the third sorrowful mystery feel that you ore one of the soldiers forcing the crown of thorns into the Head of Christ by your many sins. A sincere effort to meditate, even if the effort fails, suffices to gain the indulgences. In fact, meditation is not required to gain the Crozier and Brigittine indulgences.